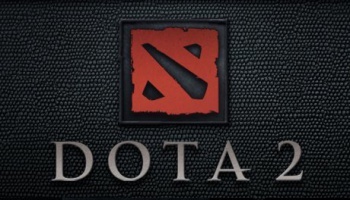 After wanting to iterate for a while, Valve now plans to release Dota 2 soon. Defense of the Ancients - that fateful WarCraft III map - has spawned a whole sub genre of real time strategy games. Some people have attempted to rebrand the genre as MOBA or Multiplayer Online Battle Arena but most still refer to it as DOTA, and Valve bought the rights to that name and hired some of the original team who made the WC3 map to make DOTA 1. The game was a success, but it is heavily competing with League of Legends for supremacy, who released a beta earlier this week. After a strong showing at the recent International tournament, Valve has decided to release the sequel early instead of waiting until all work was complete. "Our original plan was to spend the next year or so in beta, adding new features and slowly growing the number of heroes until we reached a level of parity with Dota 1, at which point we'd release Dota 2 to the world," said IceFrog, the lead designer. "But the feedback we're seeing everywhere is that people just want to play it, even though there's still a ton of heroes yet to be implemented," he said. "We've also seen that the folks who are already in the beta are chomping at the bit to show everyone else some of the fun games they've had. So we decided our original plan was dumb." Enter Plan B. "We're going to take the current version of Dota 2 ... and get it out there as fast as we can," IceFrog said. If you want to be involved with the beta, and have your thoughts on the game be known, head over to the Dota 2 site to sign up. Man, it seems like everyone is releasing betas this week. Was there some beta juice in the water on the West coast?